Russian President Vladimir Putin is leveraging Russia’s position in Syria to further diminish U.S. influence in the broader Middle East and North Africa. Russia will increasingly constrain U.S. freedom of maneuver in the broader region by expanding its military footprint and its anti-access and area denial zone. Putin advanced his regional strategy from February 27 to March 20, 2017 in three ways. First, he promoted economic relationships with key U.S. allies, including Egypt and Iraqi Kurds. Russia and Egypt reached tentative agreements to establish a Russian industrial zone in the Suez Gulf area and to resume Russian flights to tourist destinations in Sinai. Russia also renegotiated its oil agreement with the Kurdistan Regional Government on February 28. Second, Putin cultivated ties to local security forces, particularly those he seeks to draw away from partnership with the U.S., such as the Syrian Kurdish People’s Protection Units (YPG). Russia brokered an agreement to give the Syrian regime control of villages near Manbij, Syria to deter a Turkish-backed offensive against Syrian Kurdish forces, and deployed Russian forces to train the YPG on March 20. Third, Putin took steps to further develop Russian strategic basing across the region. The deployment of Russian special forces to a base in western Egypt in early March signals Russia’s intent to expand its strategic basing along the Mediterranean Sea. Russia’s overtures to Egypt pose a particular concern as NATO conducts greater outreach to Egypt. 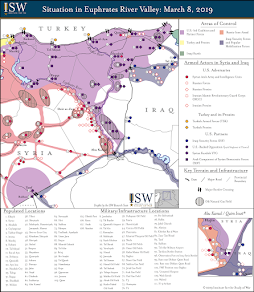 The Institute for the Study of War (ISW) produced this map with the Critical Threats Project (CTP). 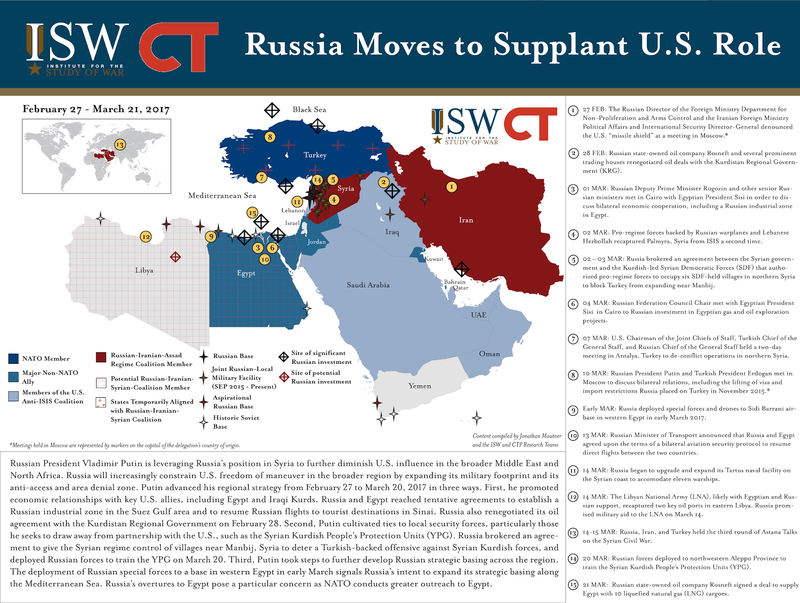 The graphic is part of an intensive multi-month exercise to frame, design, and evaluate potential courses of action that the United States could pursue to destroy the Islamic State in Iraq and al Sham (ISIS) and al Qaeda in Syria. 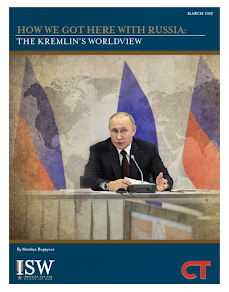 The ISW-CTP team recently released “America’s Way Ahead in Syria,” which details the flaws in the current U.S. approach in Iraq and Syria and proposes the first phase of a strategic reset in the Middle East.